> What is Google Hummingbird and what does it mean for online retail? Posted: Monday 28th October 2013 in Owned and earned media, Thought Leadership. Google has made a significant update to its search architecture, codenamed Hummingbird. It will allow Google to better and faster interpret the meaning of what people search for and the relationships between the phrases they use, particularly questions and conversational language. Rankings and traffic, especially for long tail searches, may fluctuate according to the intent of the search being made although the majority of online retailers are likely to observe only very minor changes following the update. Previous updates such as Panda and Penguin will still comprise part of the overall algorithm of which Hummingbird will form the main scaffold. The understated nature of Google’s announcement should not be considered indicative of the update’s significance – this marks a substantial shift in the way Google will treat search in the future. This is yet another effort by Google to cut through SEO gimmicks and ensure their customers’ are getting the best search results possible. We remain committed to the same user-orientated, content led strategies that have always defined our approach to SEO and user experience. Creating dialogues with your target consumers and answering the questions that are pertinent to their needs is key. In a reversal of conventions, it was on the eve of its own 15th birthday that Google recently presented the search community with a surprise gift; a major update to its search algorithm codenamed Hummingbird. Hummingbird represents a technological overhaul of how Google is able to analyse and better understand the millions of questions and conversational queries that users of its search service make every day. The update was actually rolled out in late August/early September but was not announced officially until September 26th. Although for many years Google has been refining the way it is able to comprehend the meaning behind what its users are looking for, until now, intent was assessed on a keyword-by-keyword basis. Traditionally search engines would concentrate on picking out targeted terms from within the query in order to determine what the user wanted to know. Where can I buy a Samsung 42 inch LED TV near me? Fundamentally older search engines may have identified that the user had included the words ‘buy’, ‘Samsung’ and ‘TV’ in this search and so would be able to infer with relative confidence that this individual’s intention is to buy a Samsung TV. More recently search engines have tried to better define the intent behind a query to provide an educated guess as to what kind of information a user hopes to find. What Hummingbird has revolutionised is Google’s ability to more accurately interpret not only the ‘what’ but also the ‘how’, the ‘who’, the ‘where’ and the ‘why’. Instead of ranking search results based on selective keyword matching it takes the whole of the query into context. ‘Near me’ for example suggests the user is looking for a retailer near to their home or current geo-location and also makes it more likely the user may be looking for a bricks-and-mortar retailer rather than an online store. Google is now able to more accurately and easily match more relevant content to this type of long tail enquiry; going beyond simple keyword association. This signifies a definite shift towards a more intimate, instantaneous and integrated system where search no longer represents a simple service but becomes an experience; forming part of Google’s arsenal of new products including Google Now, Voice Search and the impending Google Glass. 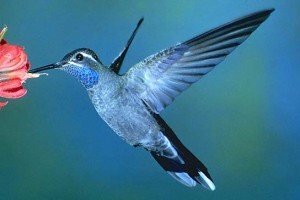 What should retailers do about Hummingbird? Good content takes thought and care; it’s not enough to try to saturate an audience with meandering trivia or reams of blurb. Content should be concentrated, thoughtful and most of all relevant. Summit’s team of SEO and content specialists work hard with our clients to help them better understand their audience from a search perspective; investing in engaging and targeted content , served accessibly, in a timely manner and in a format that appeals to consumers at all stages of the buying cycle. It is this structured and measured approach that has helped clients such as Carpetright increase year on year long tail traffic to their blog by over 1,300. If you’ve got a question about the changes to Google’s search algorithm we’d be more than happy to answer it. Email Head of Direct Response Dave Trolle at [email protected]. If you’d like to know more about our online marketing services you can call Sven Olsen on 0203 428 5303.